A good bath does more than help you unwind. It can help boost your immune system, relax sore muscles, and offer relief from breakouts and itchy skin. Find out which bath is best for you and then give it a try. To Treat Breakouts: Blemishes appear anywhere and anytime! This happens when overactive oil glands get clogged up with dead skin cells and sebum. Try Epsom salts to clear unwanted blemishes for a radiant complexion. The magnesium-sulfate compound is anti-inflammatory and helps balance your skin's pH level to fight off breakout-causing bacteria. To Fight A Cold: The winter is among us and with that comes the drastic low temperatures and wind chills. When your nose is stuffy and you begin to feel aches and chills all over, slip into a eucalyptus-oil bath. The eucalyptus oil mixed with warm water helps open the sinus pathway due to its decongestant properties. To Find Some Zen: After a long and stressful week, its always good to come home and unwind. Sprinkle powdered clay into your bath to unplug yourself from all your problems. The clay's negatively charged particles attract the positively charged toxins that your body wants to eliminate, like metals and environmental pollutants. To Soothe Sore Muscles: To loosen stiff and sore muscles, sprinkle mustard seed into your tub. This is considered to be an ancient remedy used since biblical times. It has been known to enhance blood flow and help relieve stiffness and minor pain. To Lull You to Sleep: Hot water, mineral salts, and essential oils are the perfect blend for relaxing the mind and ensuring a good nights rest. Simply add some Valerian bath salts to the tub and notice how well rested you are the next day. To Ease Eczema: Eczema can be itchy and uncomfortable but an oatmeal bath can relieve those feelings. Mix warm water with finely milled oatmeal and notice the itchiness go away. Not only will it ease the itchy sensations, but it will hydrate and calm tight, irritated skin. After a relaxing and soothing bath,rehydrate your skin with some moisturizing body lotion. Tags bath, epsom salt, sore muscles, breakouts, cold, zen, immune system, sleep, insomnia, eczema, itchy skin, oatmeal bath, eucalyptus bath, epsom salt bath, mustard seed bath, valerian salt bath, essential oils, at home spa, D.I.Y. Do you suffer from horrible acne? You’re not the only one. Acne has always been considered an adolescent issue that tends to fade away after college. But many who are past their teenage years, still deal with breakouts. According to a study at Massachusetts General Hospital, “acne affects the complexions of 45 percent of women ages 21 to 30, 26 percent of women ages 31 to 40, and 12 percent of women ages 41 to 50.” Main causes for breakouts are common; stress, hormones, and ingredients in our own skin care products. Treatments that used to work in our teens are not specifically made for mature skin, hence causing dryness. Look for gentle exfoliators that cleanse clogged pores without leaving skin red or blotchy. Also, avoid any treatments with alcohol in them since they cause extra drying. Lastly, adjust your diet. Sugars and fats can increase levels that are typically linked to acne. Silicone Primers - any ingredient ending in -icone is never any good for your skin. Witch Hazel - improves the texture of your skin. Best for those with extremely oily skin. Tea Tree Oil - Helps to reduce impurities and moderate oil production. Turmeric - Works great because of its properties to reduce irritation. Helps to moderate oil production. Vitamin C - Has the ability to improve skin healthy while leaving your skin feeling bright and beautiful. 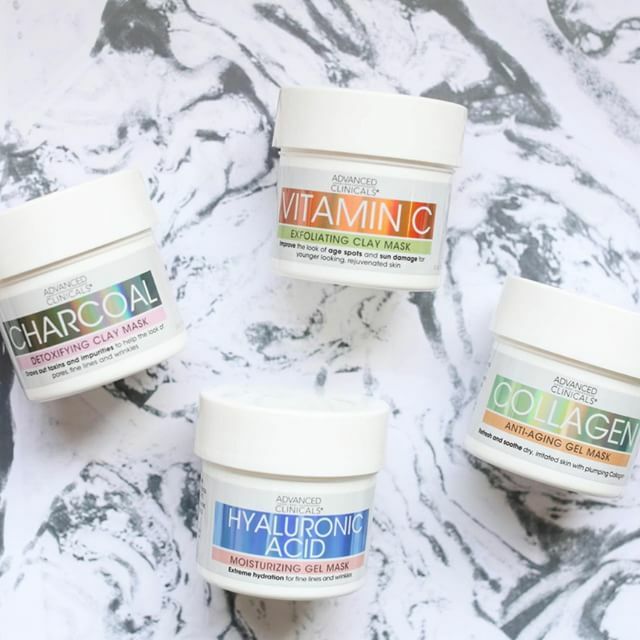 Clay Masks - Very effective for tightening up pores. Green Tea - Rich in antioxidants and helps to relieve irritation. Aloe Vera - Its soothing properties are known to calm and relieve blemished skin. Argan Oil - Works as a great moisturizer without leaving oily residue behind. Reduces dryness leaving your skin feeling smooth and even. Coconut Oil - Known to moisturize dry skin reducing signs of aging.